‘Królewskie’ playing cards depicting Slavic style royalty on the courts, printed by KZWP-Trefl, 2002. 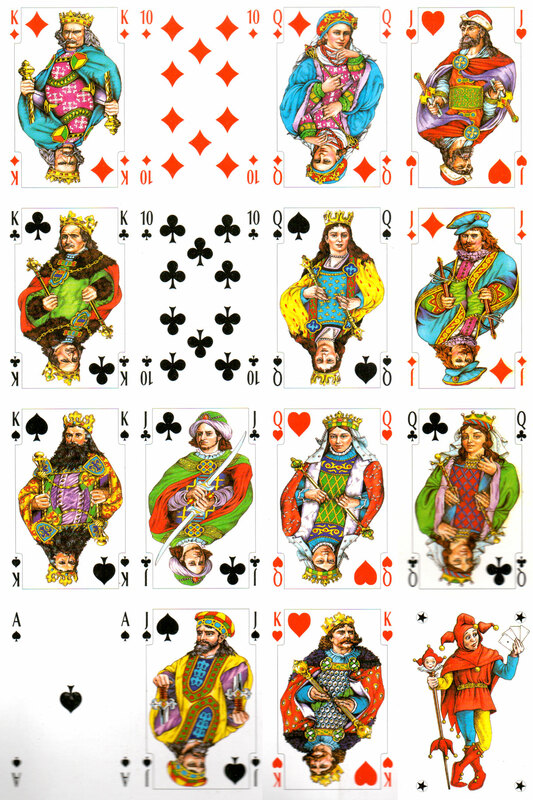 Above: ‘Królewskie’ playing cards depicting Slavic style royalty on the courts, printed by KZWP-Trefl, 2002. 52 cards + 3 jokers, with 4 indices. 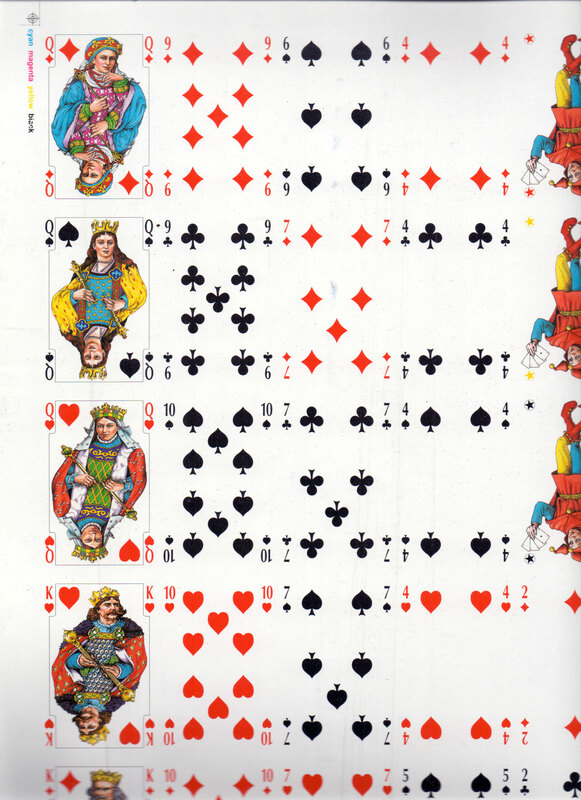 Above: part of uncut proof sheet of ‘Królewskie’ playing cards with Slavic style courts, printed by KZWP-Trefl, 2002.